This past weekend, my husband and I had the pleasure of cooking dinner for some dear friends of ours. As is my custom, I ended up buying far too much shellfish for the seafood pasta main dish. 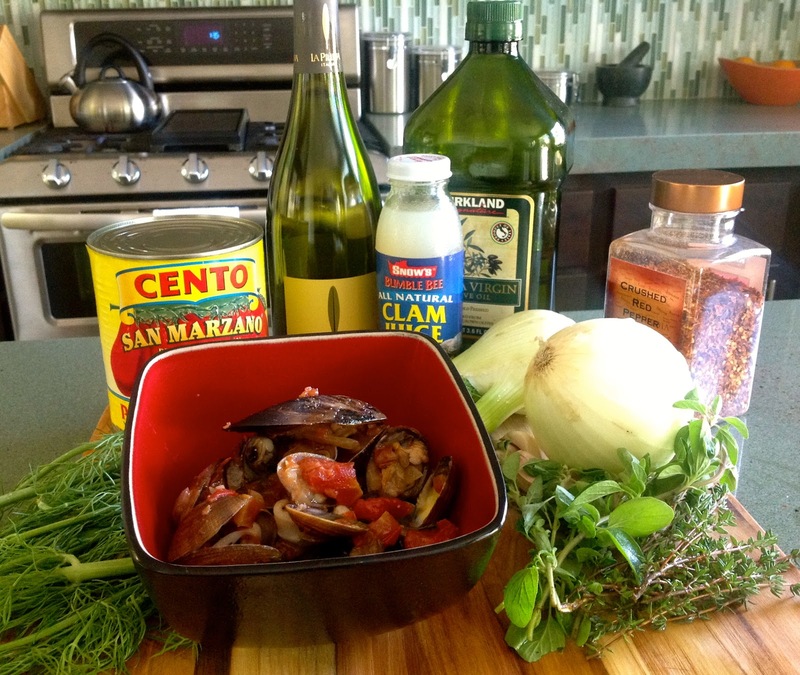 Thankfully I was able to use the leftover seafood to make a delicious and easy Cioppino for Monday night’s dinner. 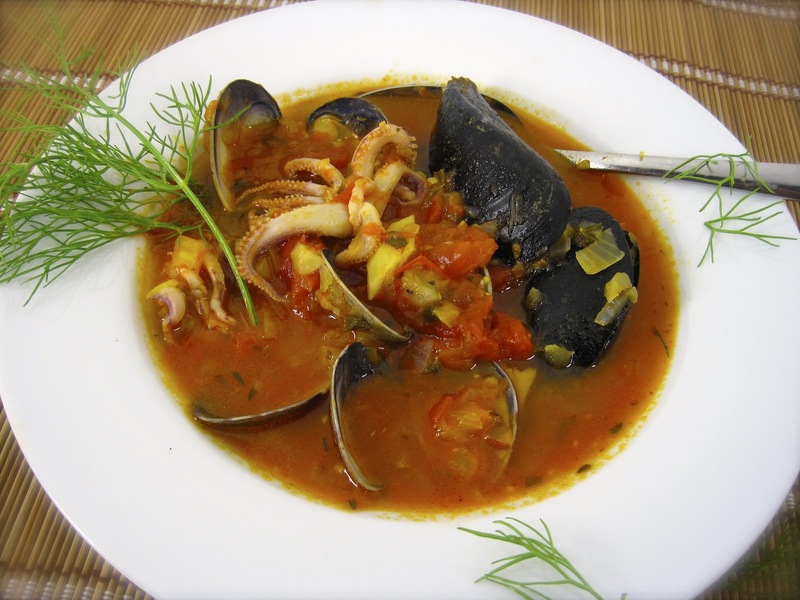 The seafood was originally cooked in white wine, tomatoes, garlic onion and a little lemon juice, so the flavors and the leftover broth easily blended into the soup. The ingredients were simple–a can of whole, peeled tomatoes, a bottle of clam juice, some leftover white wine from the weekend dinner, red pepper flake, onion, garlic, fennel bulb, thyme, oregano and of course, olive oil. First I sautéed minced garlic, chopped onion and finely chopped fennel bulb in the olive oil. To that I added thyme leaves, chopped oregano and about a teaspoon of the red pepper flakes. After the vegetables softened, I then added the tomatoes, which I had mashed by hand, the claim juice and the wine (about 1 1/2 cups). I also added three bay leaves to the broth. Let these ingredients cook in a covered pot for about 45 minutes and season to taste with pepper and a little salt. I also added some freshly squeezed lemon juice to give it a nice kick of acid. After I was pleased with the flavor of the broth, I added the seafood. I had used Manila clams, mussels and squid. Since my seafood was already cooked, the only thing needed was for it to heat thoroughly in the broth for a few minutes and avoid overcooking. If you are using uncooked seafood, cook until the shellfish open (about 4-5 minutes). Discard any that don’t open. I was so glad that I was able to use that leftover seafood, because seafood is a pricey and precious commodity and I hate wasting food! It was so good with some crusty sourdough bread!